Projected silver prices forecast a gain of about 30% from now until the end of 2016, so don't let the near-term pullback discourage you as a silver investor. For most of 2016, metals like gold and silver have enjoyed a bull market. Silver prices rose about 28% from the start of the year through April, hitting $17.85 an ounce. Then in May, the price of silver started to slip a bit. Silver prices fell about 8.4% as the U.S. dollar gained strength. The dollar got a "second wind" due to hawkish Federal Open Market Committee meeting minutes. Now some silver investors are concerned about the future of projected silver prices – can they keep climbing long term, as originally forecast? 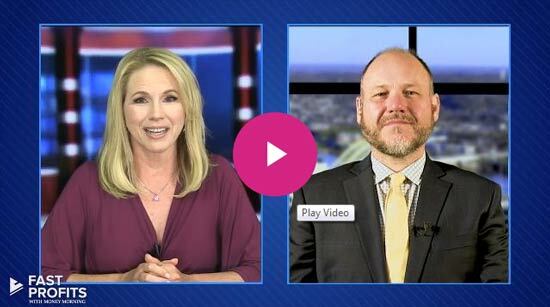 Money Morning Resource Specialist Peter Krauth says the technicals for silver give us insight as to where its is projected to go. The silver price reversal that started in May has brought silver prices below the 50-day moving average. Since the $16 silver price level has been breached – silver is trading around $15.95 today – the next support level for silver prices is $15.50, then $15.20. But Krauth does not expect a silver price slump to continue through the summer. He sees prices bottoming in June – as they typically do. Then he sees silver prices heading to $20 an ounce by the end of the year. He projects silver to hit $18 this fall. This will come from renewed upward momentum that typically hits the metal after the summer. Also, the U.S. Federal Reserve is unlikely to do much to interest rates in 2016, even if they do another rate hike. It won't be much, and investors have been ready for it for months, so it won't be a surprise that's not factored into pricing. So after some tough years for silver prices, this year is looking to regain strength. Increased buying will be another factor that pushes silver higher. While silver prices in the near term are expected to see more ups and downs, the outlook for silver is still strong. But silver investing is still not for everyone. To decide if you can handle the wait for projected silver prices to climb, here's an overview of the pros and cons of investing in silver. It'll help you decide if this is an asset you want to play in 2016. Silver Has Many Uses – Silver is an excellent investment because, unlike gold, there are so many uses for it. We all tend to imagine silver jewelry, but its use isn't just ornamental. Silver is becoming a popular material of choice in photovoltaic solar panels, as ball bearings in jet engines, and as a water purifier. 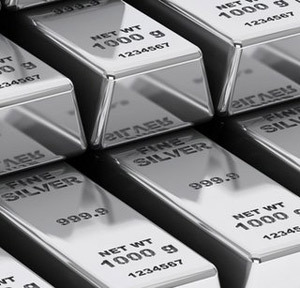 Safe-Haven Investment – Silver is considered a safe-haven investment, meaning that when world financial markets take a dive, it is a safe place to park your money. As many experts believe that we're heading for just such a situation, both the demand and the price for silver continue to rise. Complementary Asset to Gold – Some investors in precious metals make the choice to buy both silver and gold, as the metals tend to move in tandem with each other. Even when there is a "substitution effect" (consumers switching from gold to silver) in the market as the price of gold soars, your silver holdings could easily offset this. An Affordable Investment – Not only is silver an affordable investment, but it is actually a monetary metal. Silver is one of just two metals in the United States that can be used as legal tender and, due to its affordability, it is easy to accumulate in nearly any quantity that the investor desires. Volatility in the Market – Because there are so many factors that contribute to the price of silver, there is volatility in the precious metal that isn't seen with such things as mainstream stocks. Large swings, however, can mean extreme investment returns. Potential Liquidity Issues – Some forms of silver are more liquid than others. Paper silver and official coins are the most liquid, while silver bars and rounds are the least. Storage of Physical Silver – If you decide to purchase physical silver, such as coins and bars, you'll need a secure place to store it. This can add to your overhead, and shipping to acquire or liquidate silver is another expense. Experts and individual investors alike are bullish on silver this year and expect gains to continue well into 2016 – even if there's a short-term pullback, as we described earlier. This affordable investment provides benefits during economic uncertainties and is a precious metal that has many uses. As prices can fluctuate, it's always recommended that investors maintain overall diversity in their investment portfolios. For investors who do want to profit as the metal's price heads toward the higher projected silver prices, there are a few ways to make money. One is physical silver buying. That can be in the form of silver coins or silver bars. These physical silver assets come in different sizes, and you can use different dealers. We outline some guidelines for physical silver buying in our guide to metals investing, which you can access for free right here. Another way to profit from higher projected silver prices is to buy silver stocks or silver exchange-traded funds (ETFs). Buying these assets eliminates the need for storage and gets rid of some other cons listed above. An interesting note about silver stocks right now – they have outperformed silver prices lately. It seems investors are at a point where they are valuing silver stocks higher than the metal itself. As Krauth recently showed readers in Money Morning, silver stocks gained after the mid-May FOMC meeting. For a complete guide to investing in silver, and so you can profit as projected silver prices take us higher, go here to our free report.